I'll admit, I do make cream cheese chicken tacos ALOT. It's a favorite in our house and they are so easy. Who doesn't like easy meals, right? Well, when I came across this Cheddar Jalapeno Cream Cheese I knew I had to buy it and make chicken tacos with it. Cheese and Jalapenos? Yes, Please! The end result was cheesy, creamy, spicy, goodness! Arrange chicken in bottom of crock pot. Add all ingredients except for bacon. Cover and cook on low 4 hours. About 15 minutes before serving break apart chicken and stir in bacon. 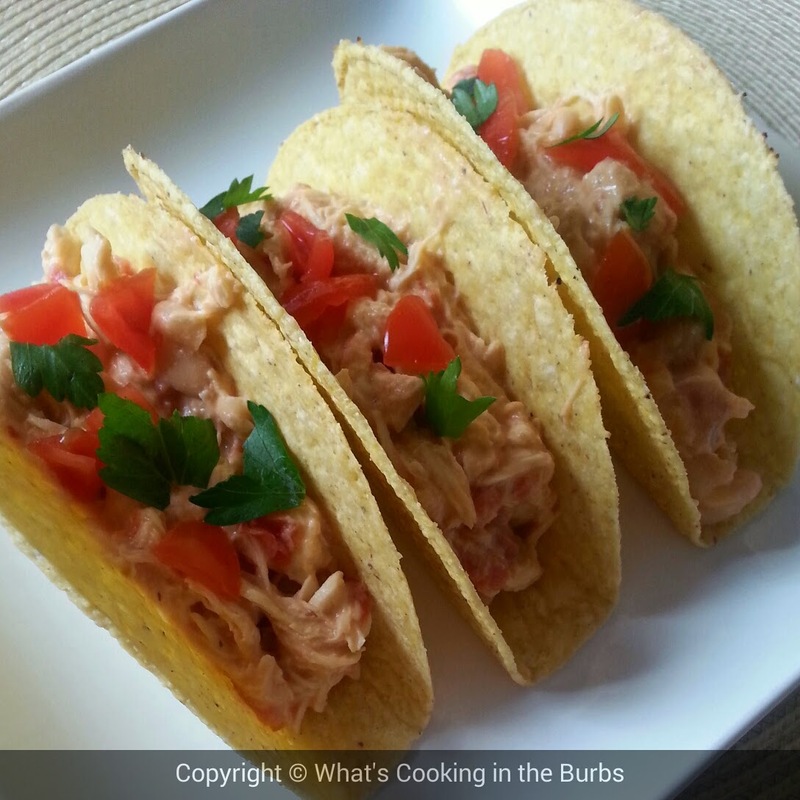 Spoon into taco shells and enjoy! My family will love this! This recipe is right up my alley and it looks delicious. It would be a great weekday dinner! Thanks for posting on Mix It Up Monday. Your Jalapeno Cheddar Chicken, looks amazing, we will love that flavor! Thank you so much for sharing with Full Plate Thursday and have a fantastic week.